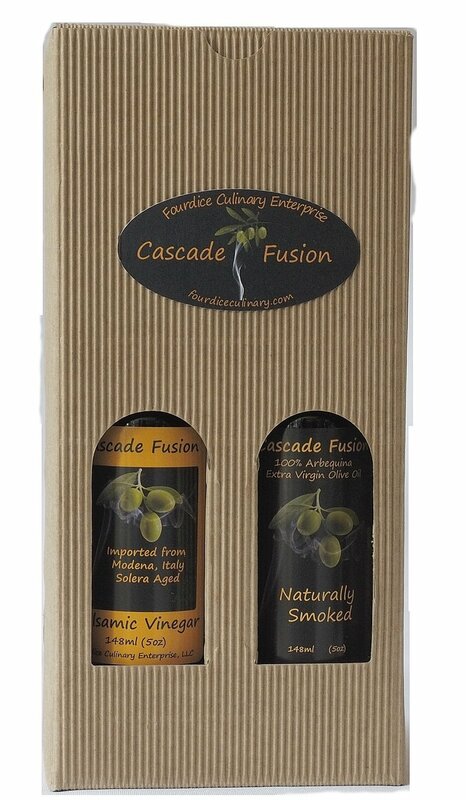 Our flagship products, 148ml Cascade Fusion Smoked Olive Oil and 148ml Cascade Fusion imported Balsamic Vinegar. All packaged in decorative box. Makes a unique and special gift for any occasion!